I'm not quite sure what to make of this new game from Spike Chunsoft called Attack on Titans: The Last Wings of Humankind. Those familiar with the popular anime it's based on have praised its accuracy to the show, but coming from someone who is on the outside looking in, it might just be the most insane 3DS game on the market. Let's see here, how to best describe this… Imagine Spider-Man meets Assassin's Creed. A self-customized avatar swings through the air and climbs on buildings with the help of what looks like long white grappling hooks attached to his back. His soul objective is to hack away at what can only be described as large naked deformed humans barraging through a city, eating everyone in their path. 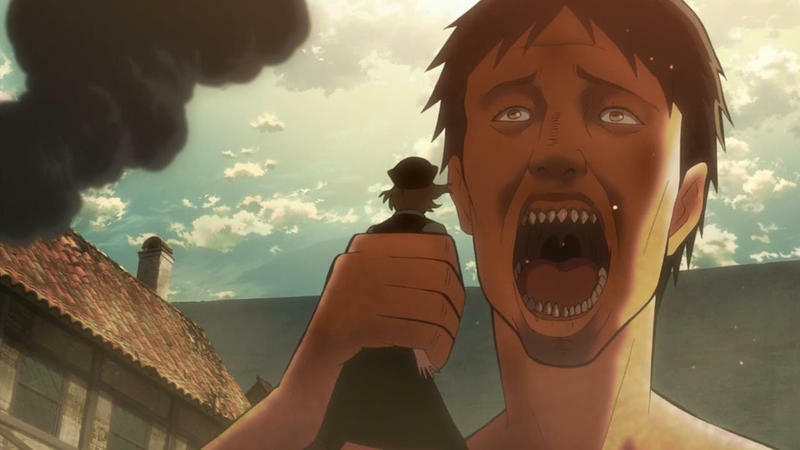 A little research into the anime says that these "Titans" have driven humanity to the brink, and mankind's last defense is a high flying squad of youngsters trained to take them down by the weak point in their necks. It's like if Godzilla met a zombie flick backed with over the top Hong Kong martial arts and Japanese power rock. It's gorgeously silly. Unless the anime, manga and video game licensing rights get untangled, I doubt we will ever see this game over here. Fans of the show want an accurate portrayal of the anime to play on the go, and those foreign to the series want a silly game along the lines of what looks like Earth Defense Force. Attack on Titan: The Last Wings of Mankind will be released in Japan on Dec. 5 for the 3DS, and I curse the day Nintendo decided to region lock its portable software. This is the first Japan exclusive 3DS title I want to play, but maybe we'll get lucky down the road somewhere. If anything, this trailer has given me a new series to maybe check out.